Jamie was - shock horror! - hosting, and he ended up single-handedly failing everyone by losing all record of the evening. 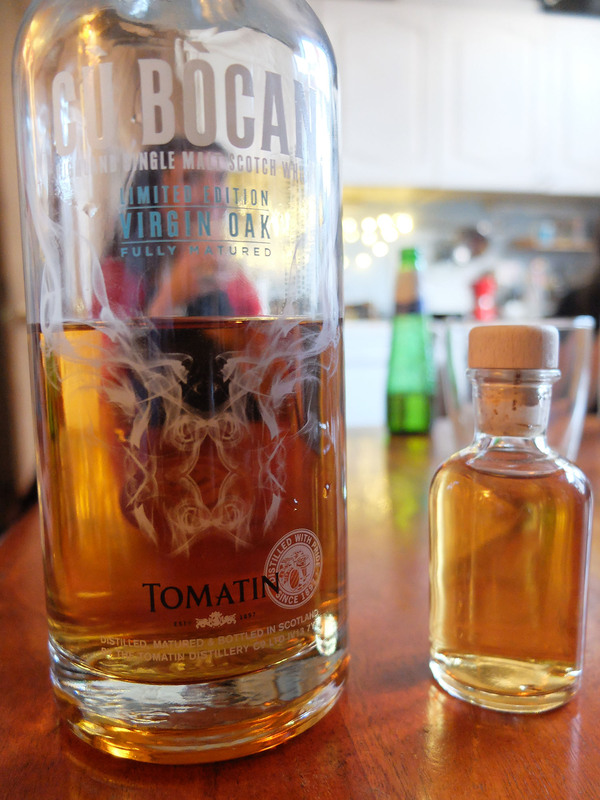 A limited release Tomatin was accompanied by a standard Benriach, with a Cadenhead's cask strength Longrow thrown in for good measure. 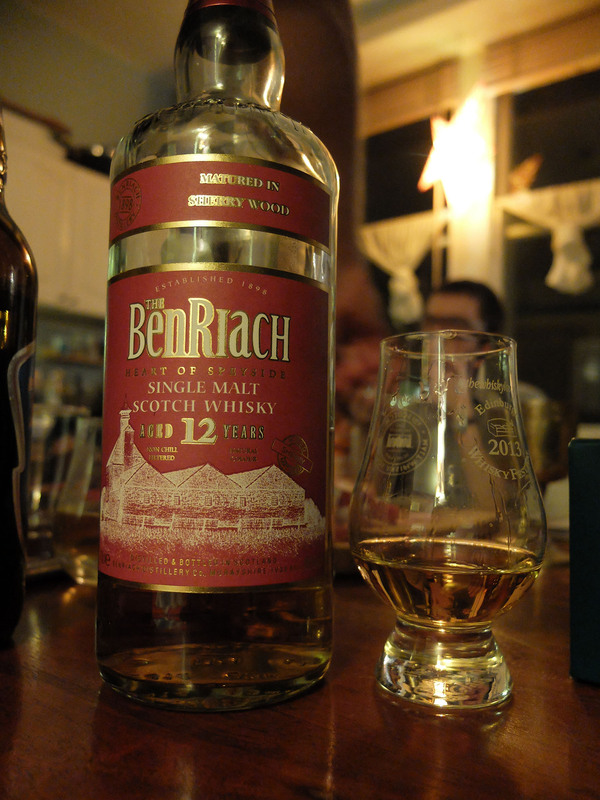 I think most of us thought this was the standard 12yo, rather than a special sherry cask release. It actually behaved like a decent opening of a standard range. It gave off simple, pleasing sherry smells - not overly rich, not much dried fruit or anything, just sweet sherry scents. OK, this has a big sherry sweetness. It's not a sherry bomb by any means, it's not the biggest of sherry influences, yet it's pretty much created 100% of the influence in this whisky. Overly sweet for some, and pretty simple. 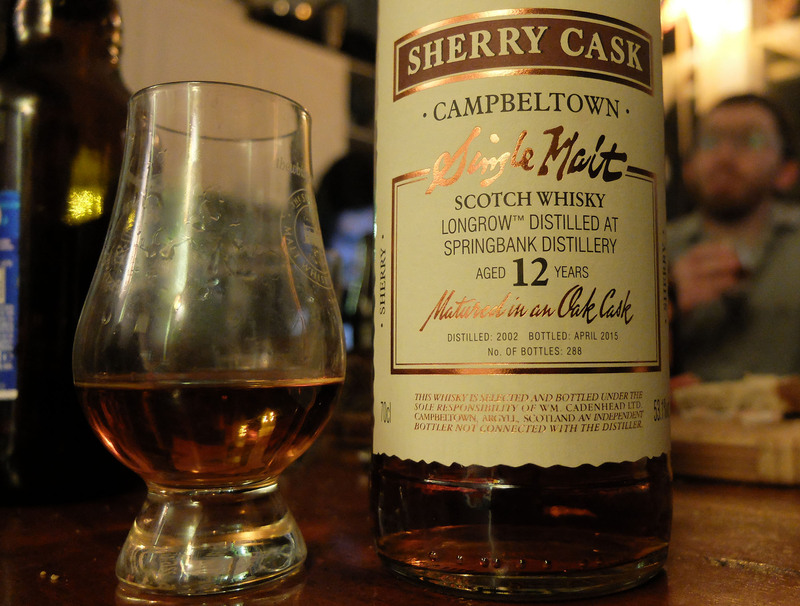 Yet, it's delivering a nice, balanced and sweet dram, and you'd suppose that's what it's trying to do - job done. Finishes might be a stretch to remember now, but the simple, sweet, sherry vibes no doubt continued - it wasn't the biggest of whiskies though, so don't expect glorious lingering mouth-tingles or anything. Please note: the scores below are very limited by the notes being lost - the overall score best represents our collective memory, it won't be too far off being representative.